This is the first book I read from Malcolm Gladwell, and it has helped me to see things with different eyes both from the perspective of a parent and a professional. It really is a fascinating read. 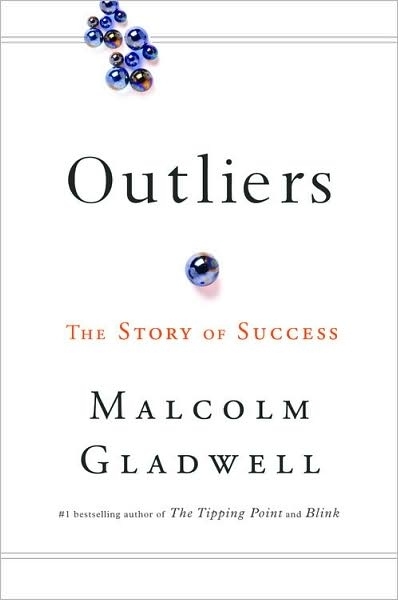 For those of you wondering what an outlier is, Gladwell includes two definitions in his introduction, one of which describes an outlier as a statistical observation that is markedly different in value from the others of the sample. Yes, this book has a lot of statistics but they are so interesting to read because they are related to success. Furthermore, Gladwell has a way of telling stories with these stats that I couldn't help but be engrossed. The book is divided into two parts. Part one focuses on the role that opportunity plays in achieving success and part two focuses on the role legacy or ethnicity plays in achieving success. 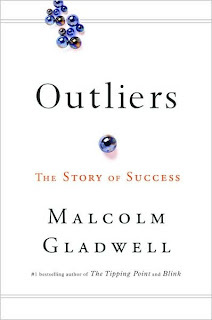 Gladwell brings out various scenarios (he dissects the success stories of rock stars, software billionaires and geniuses) and then proceeds to show what the data reveals. No one makes it out there on their own. Where we are from and what we do can make a difference in how successful we are. I have used the Roseto Mystery account, which he uses as an introduction to this book, to hit home the importance of social support for the support group that I facilitate. I just loved that account. We tend to think that if someone is classified as a genius then that person is bound to have success in life, but why is it that some geniuses fail miserably while an average kid from a poor neighbourhood could go on to have a very successful career? Why is it that the Chinese excel in math? Why is it that at one point the Korean airplanes were crashing at a rate of seventeen times higher than other airlines? Gladwell does a great job of explaining it all. So you might think that reading a bunch of stats is boring and not really useful in our daily life. I certainly did not find this to be the case. I love learning new things and I have since thought of what I have read and it has given me insight that has helped both in my professional life and when making decisions for my kids. It made me seriously think about what opportunities I was exposing my children to. Our role as parents is so important and influential. I initially borrowed this book from the library but I have since bought it and it's a keeper on my shelf. It's one of those books that you can re-read over again and light bulbs will continue to flash as it will make you reflect on your life and your future.